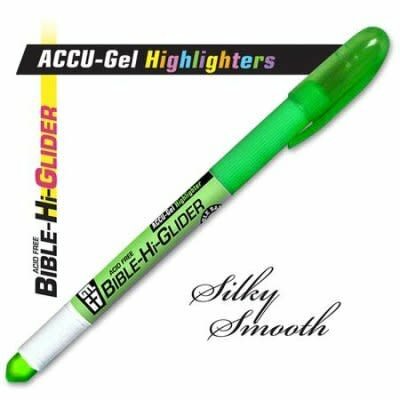 Precisely and smoothly highlight your favorite key Scripture verses with our gel ink highlighters. No bleed ink applies translucent color right where you want it, and won't smear afterwards! Long lasting gel stick; 5.5" long with pocket clip for secure storage; twist base application; six colors to choose from.